Rating and serial number plates are an important part of your finished product. They have to withstand time, exposure to chemicals, sunlight, and even harsh working environments. 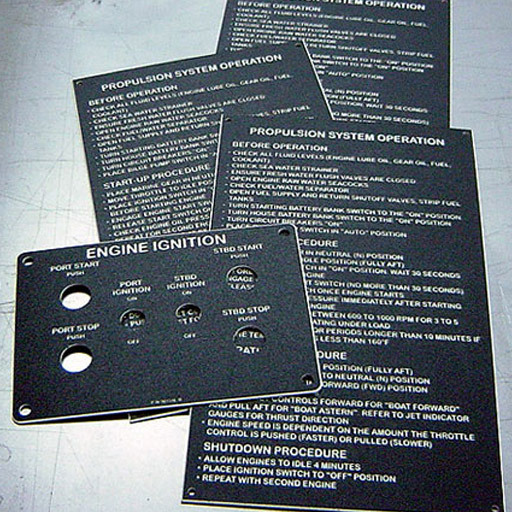 We manufacture metal plates with engraved information about the product and space for additional info as required. And we build them to your precise specifications to ensure you meet the appropriate guidelines required by your industry.